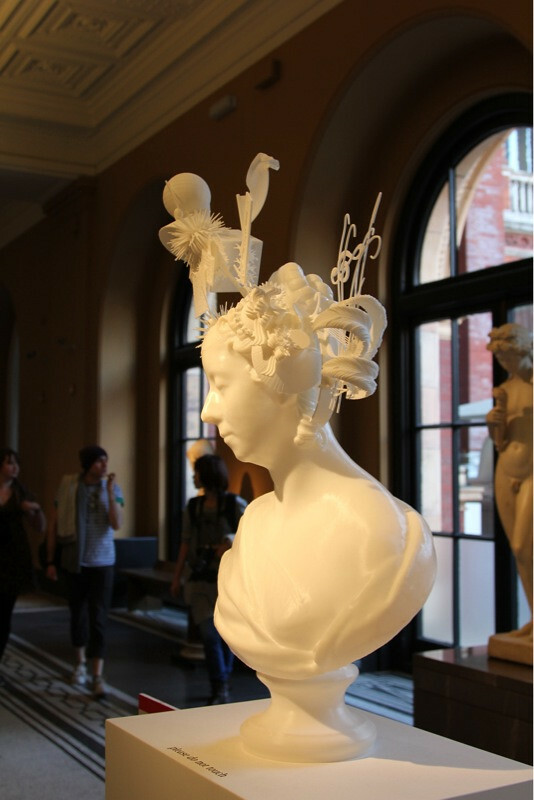 I went to the V&A Museum this weekend, specifically to visit the London Design Festival event that was taking place. This aims to showcase current design trends, and new innovations from the past year. 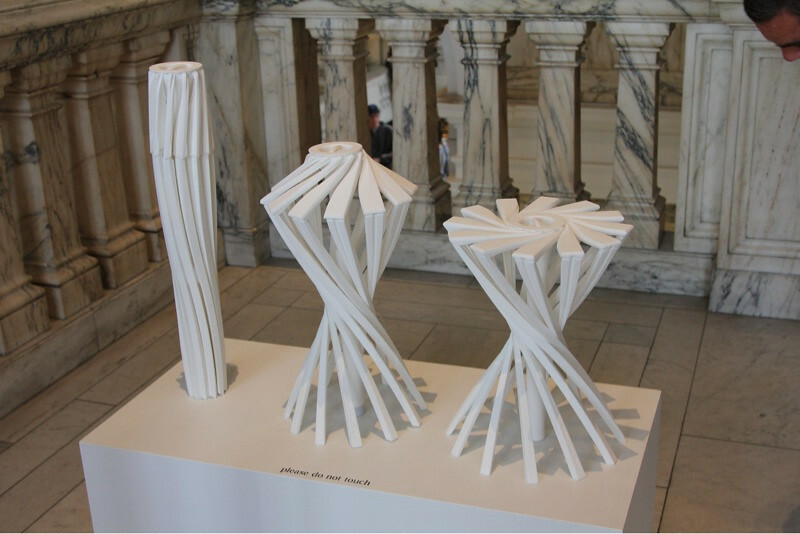 A big presence this year was from designers using 3D printing to produce various gadgets and gizmos that were littered around the museum. This is all well and good, it allows designers to test out their latest designs quickly and cheaply’ - virtually anyone can now produce “things” to a reasonably high standard of construction. But then I stumbled across this piece below. It’s a marble-esq bust, made using rapid prototyping techniques. There’s no skill in the construction. Prior to today, an artist would have to conceive a piece, and then painstakingly execute their ideas, the investment in training and time would be immense. Here, our artist hits Ctrl+P and out pops a masterpiece. The finish isn’t there. This piece was located in a row of real marble busts, and a quick surface inspection reveals the ordinance survey map contour lines that bely the piece’s digital origins. A glance at the neighbouring pieces (originating many years ago) reveals a beautifully smooth glossy finish. My concerns are that the “Master Craftsman” will become obsolete.. Fewer and fewer people will know how to construct “things” well, and we’ll all become computer monkeys*. Also, concern yourself with the self replicating machine and you will soon see that this is just a ploy by the robots, before they ultimately take over the world. A review of the ASUS Pundit P1-AH1 barebones bookshelf computer system.